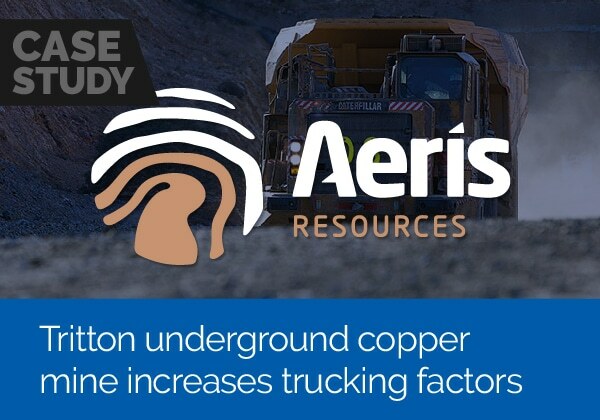 When your mine’s productivity hinges on your ability to move the maximum amount of material, as efficiently as possible, shift after shift, it makes sense to have stringent measurement and management of your trucking factors. That’s where Loadscan’s load volume scanning system comes in. Loadscan has been proven to increase trucking factors by up to 15% by optimizing truck loading and eliminating wasteful haul-back. It’s a low maintenance, cost effective alternative (or supplement to existing weigh scales) that provides you with the full picture of what you’re hauling. Loadscan provides 3D images and insightful data in real-time for every load; equipping you to optimize truck loading and productivity. Vehicles are scanned by driving below the scan head. 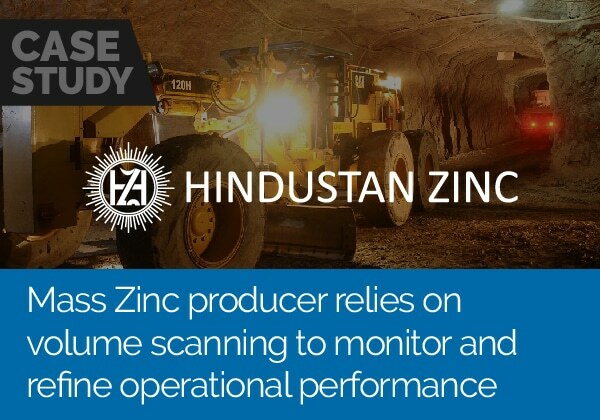 The scanning process is fully automated and will provide volumetric measurement of every load. Loadscan includes an RFID tag reader to automatically identify trucks and trailers. Special load management software reports every detail of every load. 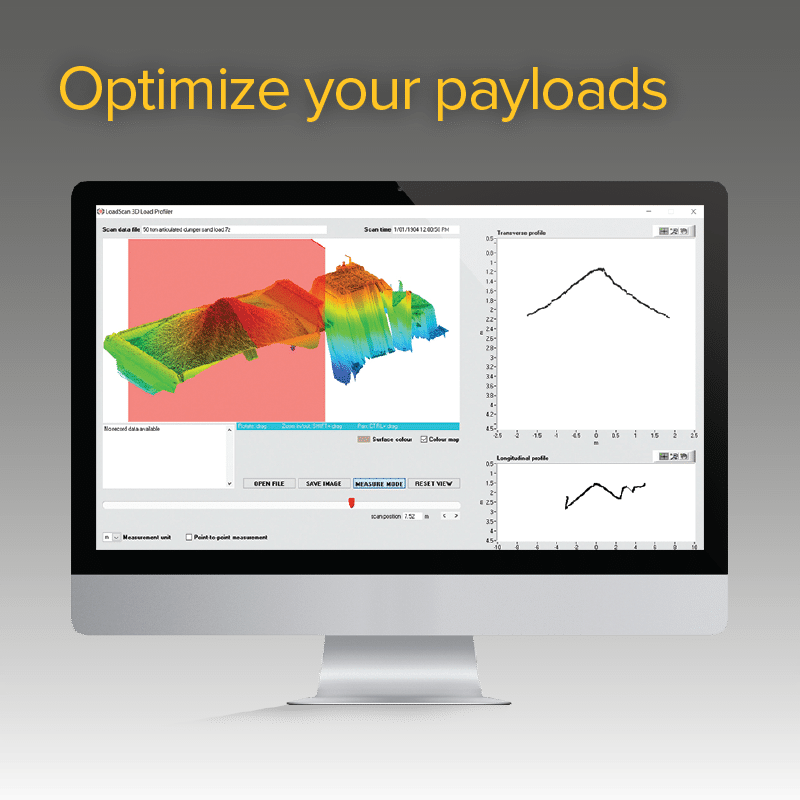 It also provides you with 3D load profiles, which you can use to train loader operators and dump truck drivers to optimize your trucking factors. 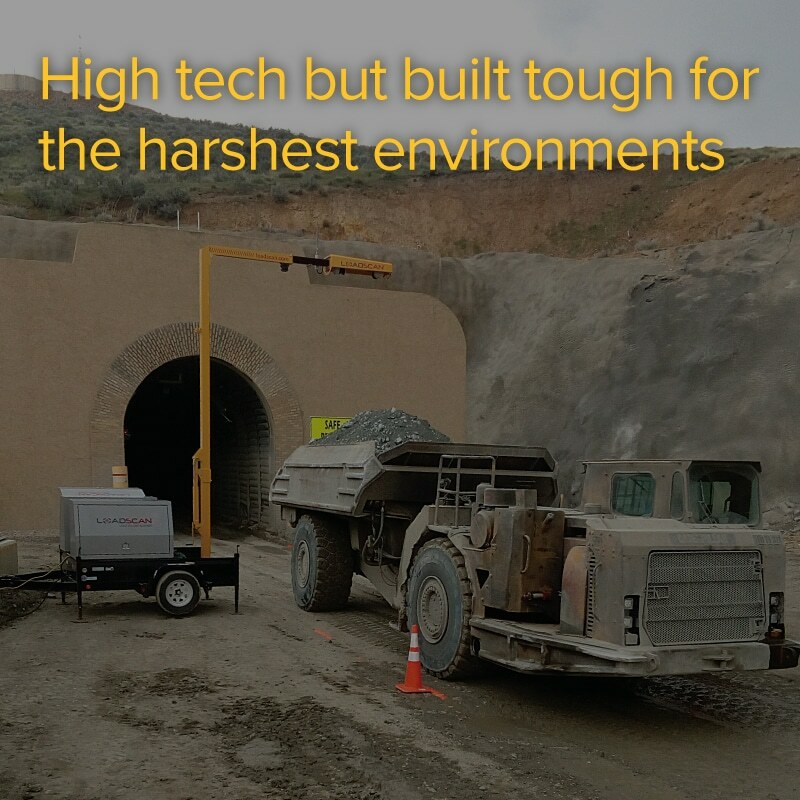 Unlike onboard weighing systems and expensive weigh bridge installations, which require a lot of ongoing servicing and calibration, Loadscan is a touchless system without wear-parts. It is seldom out of service and does not require routine re-calibrations to retain its accuracy. 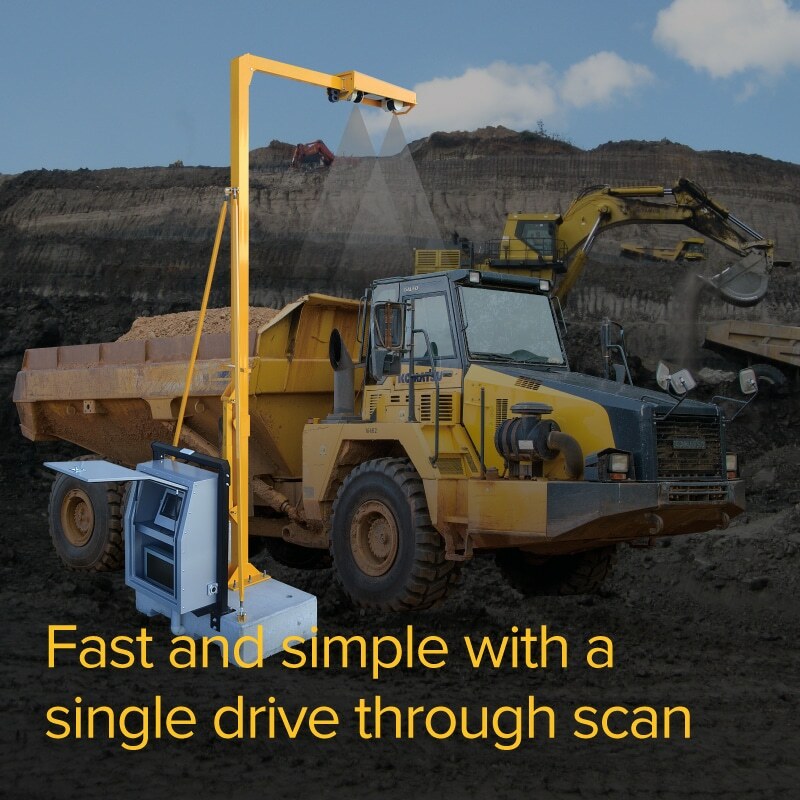 Because trucks can be scanned both in and out of your site or pit, Loadscan provides the ability to measure import materials and haul-back that you otherwise wouldn’t measure with onboard loader scales. 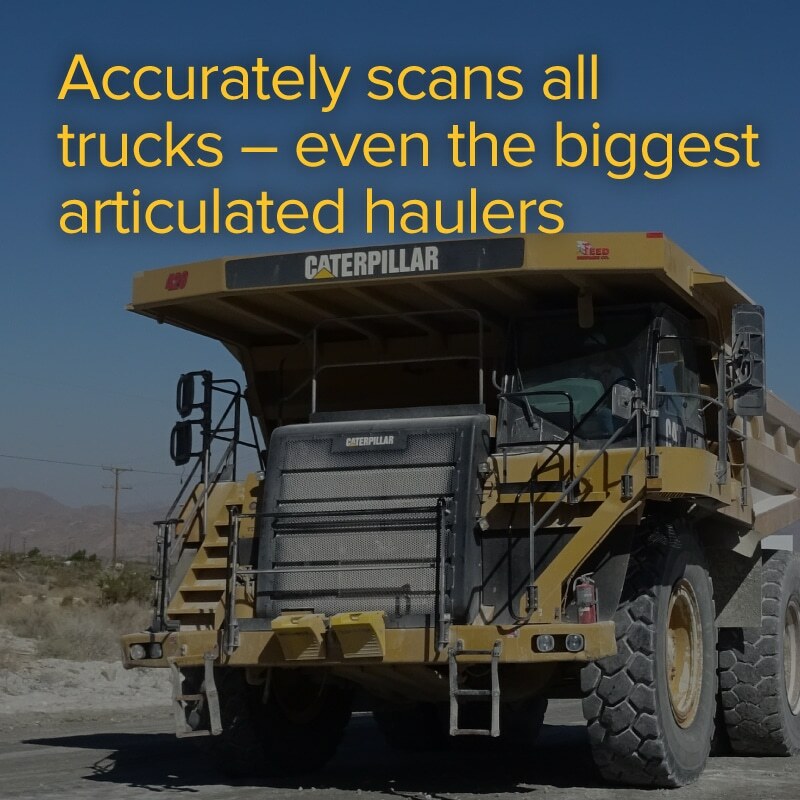 Loadscan’s automated data capture and docket printing means your loader operators can focus on the job of loading and keeping trucks moving. As the saying goes, you can’t manage what you can’t measure. This method of payload monitoring provides a more detailed picture of how much material is being shifted. Account for ‘haul back’ with tray clean out message triggering and negative total adjustments. See loose product density calculations by combining LVS volumetric data with weight data. Accurately measure and compare ‘loose measure’ trucked volumes with surveyed ‘solid measure’ banked and compacted volumes without conversion from weight. 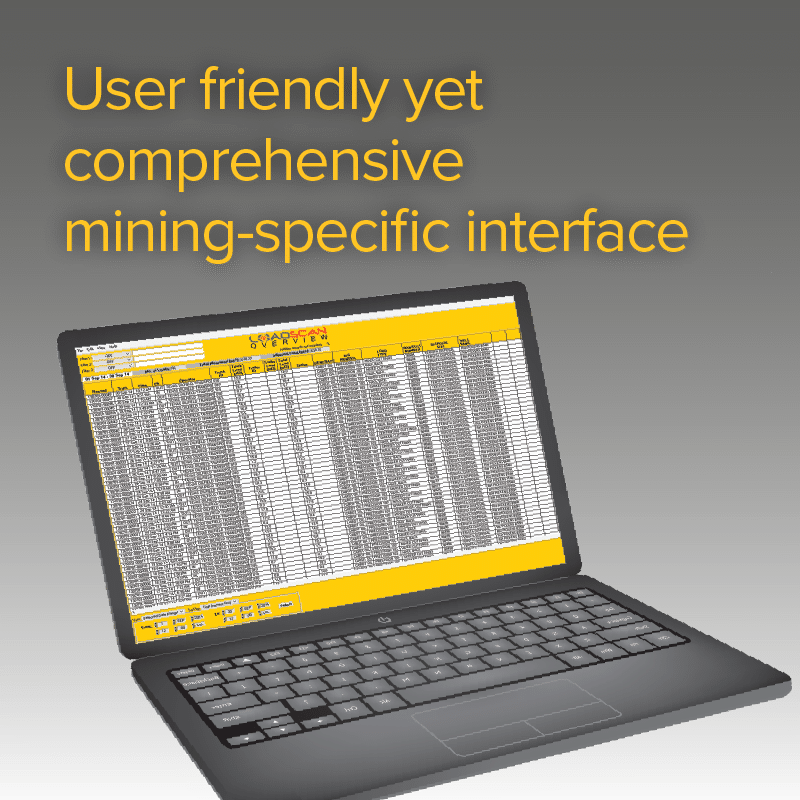 Choose customized period reporting, load profiling and remote control options. 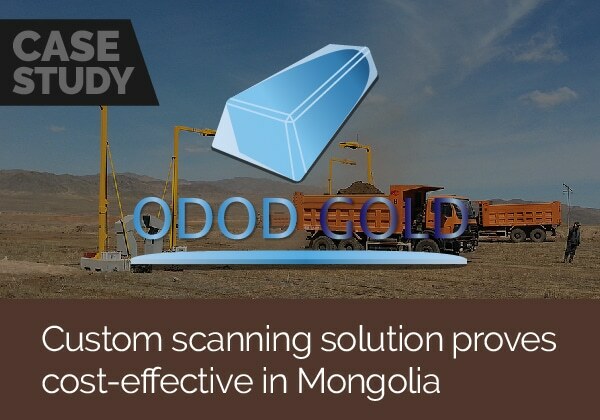 Loadscan is a cost-effective solution that eliminates the need to outfit an entire fleet of trucks with onboard weighing systems or install an expensive fixed truck scale. You’ll only have to install it once, with no major earthworks or fiddly calibration. 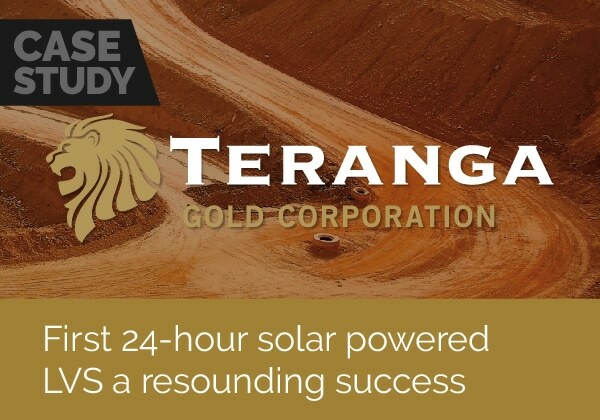 You’ll enjoy low running costs, full automation and low maintenance requirements. Unlike competitor ‘build-your-own’ load scanning systems (which may appear cheaper at the outset but add up when all the required components are assembled) all Loadscan systems come complete with an RFID tag reader, docket printer, Loadscan Overview reporting software, and the ongoing support of our expert team. 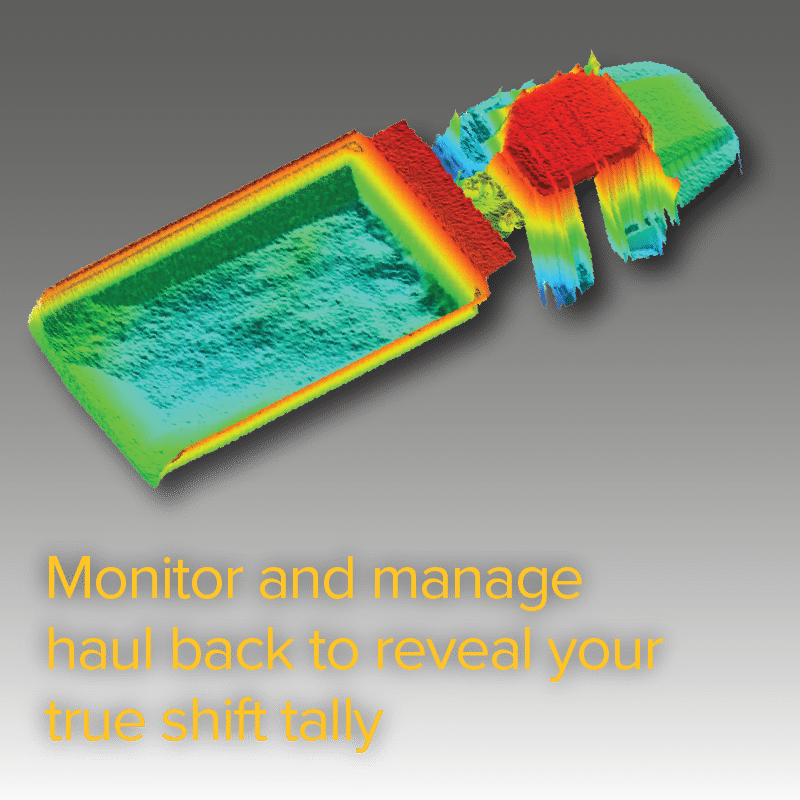 Whether deployed as a stand-alone tool or using it to supplement existing weighing systems the LoadScan load volume scanner (LVS) system has been proven to improve the accuracy of material movement tracking and load data management, modify driver/loader operator behaviour and lead to improved haulage efficiency and increased productivity. 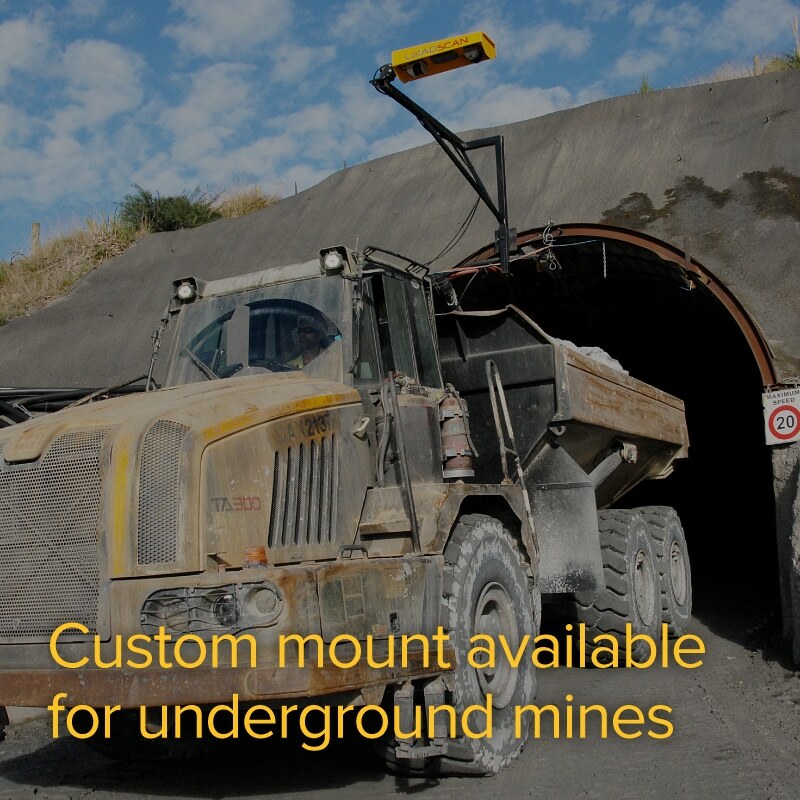 Portable solutions are available for short-term projects. Trailer mounted mobile solutions are available to allow you to scan and obtain data from multiple sites. It is a very, very reliable system. 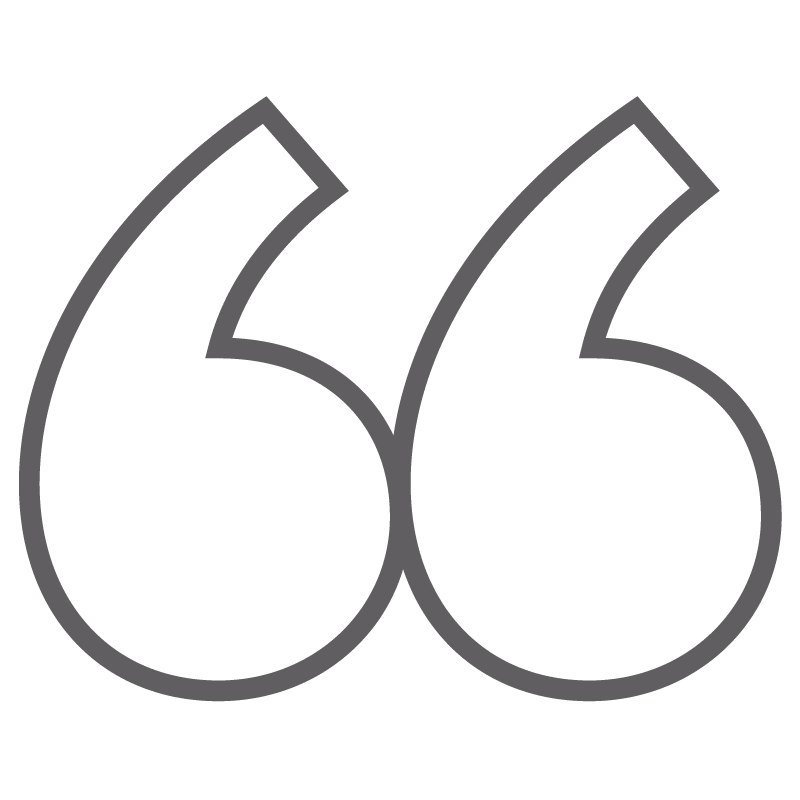 It is accurate, has been easy and seamless to implement and its reliability is very impressive. The support supplied, on the odd occasion we have needed it, has also been impressive. 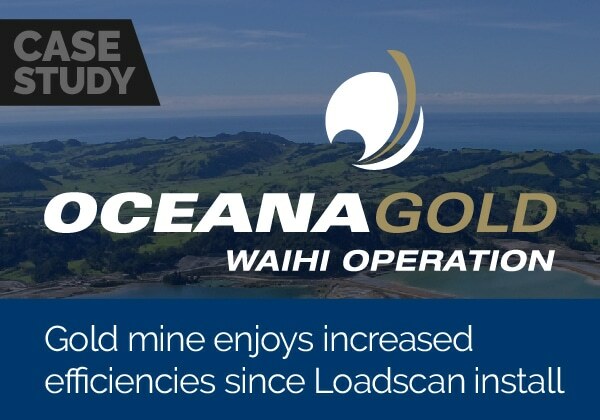 I don’t know how we did without the Loadscan system in the thirteen years prior, I simply couldn’t run the mine site without it now.